Having travelled thousands of kilometres through the vast wheat and grain fields of Western Australia I have to ask the question – “Where would we be without our farmers?” There are kilometres of farms, as far as the eye can see, producing wheat and grains for us, and for export. I take my hat off to all of them! During our first week in W.A. 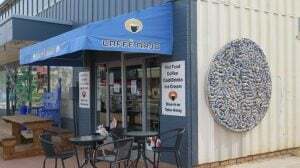 we travelled east to Merredin and Wave Rock, before returning to the west coast at Bunbury. 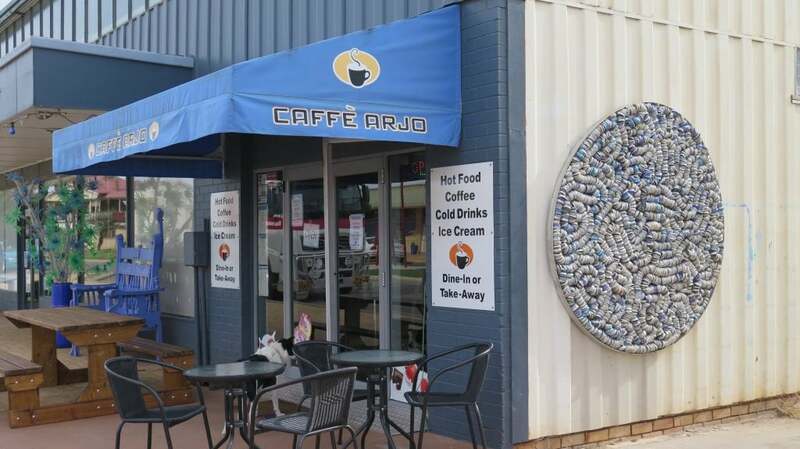 We drove about 300 kilometres and spent one night in Merredin after travelling through York, Northam and Kettering, then moved on to the Wave Rock Motel. For the first time we had to cook our own dinner, but it was fun! 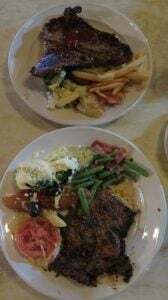 There was an indoor bar-b-cue in the dining room, we chose whether we wanted meat, hamburger or chicken, with a wide choice of hot vegetables or salad. After dinner it was nice to relax before the fire. By the second night we were almost expert bar-b-cue cooks. 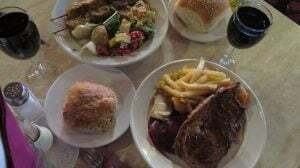 On our first night Pete chose a T-bone steak with chips while I enjoyed chicken kebabs and salad. 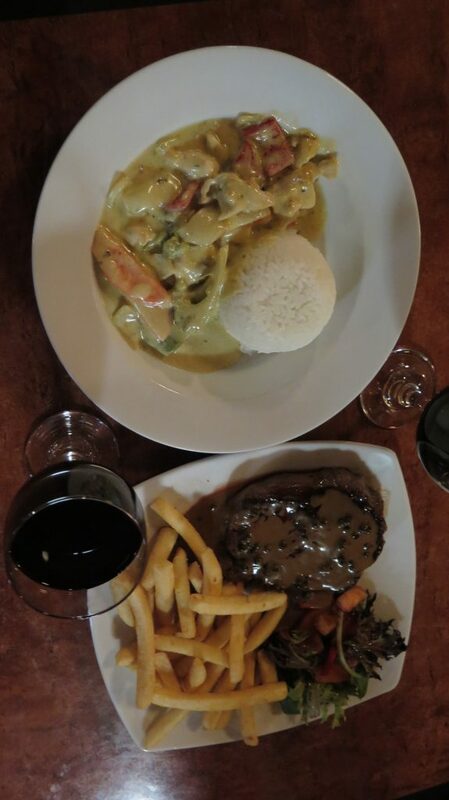 On our second night we both ordered steak, this time with nice hot vegetables. And of course we ordered a nice glass of Shiraz with each meal! When we left Esperance on the southern coast we headed north to visit Lake King. 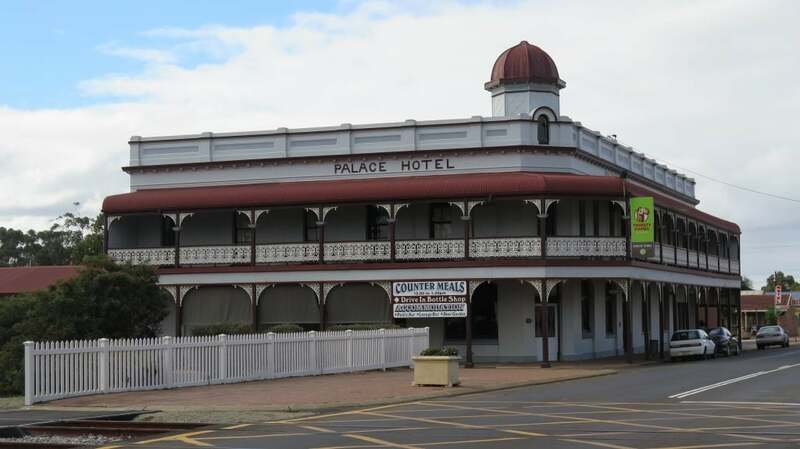 The town is really in the middle of nowhere, but the hotel was comfortable, it was very quiet and I loved the feeling of isolation. The food was good pub style, and although it was a cool night, the open fire kept us warm while we ate dinner. 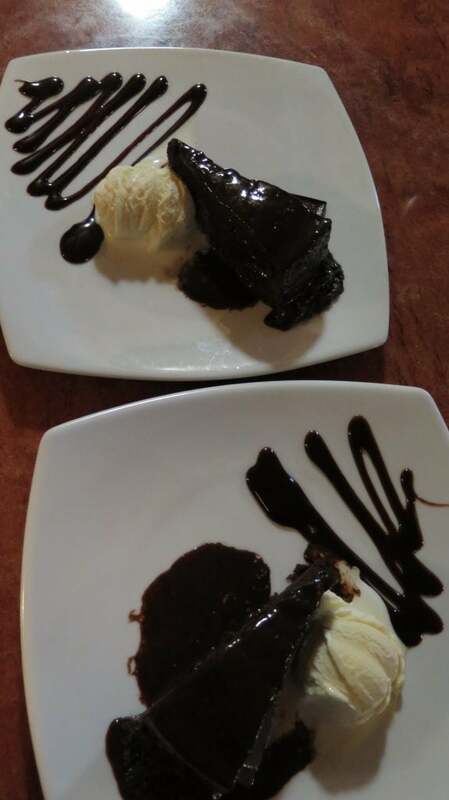 I had Curried Prawns and Pete enjoyed a Pepper Steak, dessert of chocolate cake and icecream – and a glass of Shiraz. 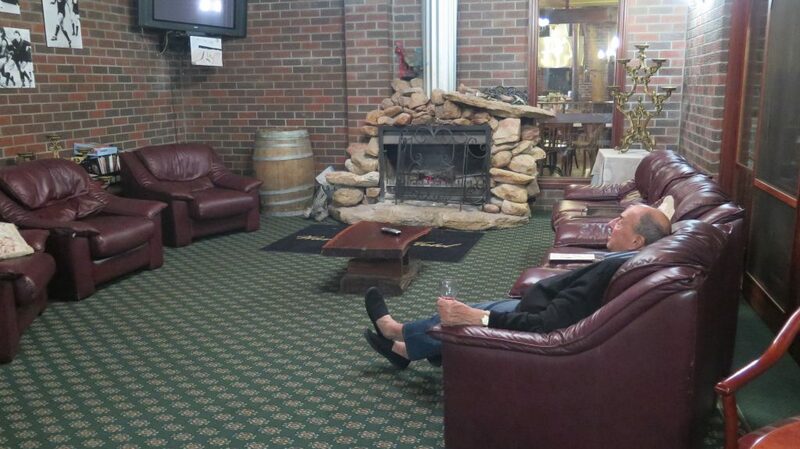 Our final stop before returning to Perth was at Wagin, the centre of the sheep industry, and home of the Giant Ram. On the way we passed the errie salt lakes including Lake King, Lake Bryde and Lake Grace, and a little further on Lake Dumbleyung where the famous Donald Campell broke the world speed record. At Lake Grace we stopped at a small café (the only one open in town) called Caffee Arjo, the coffee was wonderful, and obviously a popular meeting place for the locals. Arriving at Wagin we settled into the Wagin Motel that was adjacent to the historic Palace Hotel, built in 1905 by Paddy Durack, a relative of the famed north west Durack cattle farming family. 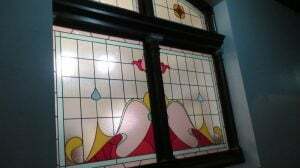 We ate at the Palace on both nights in Wagin, good pub meals and a lovely atmosphere, especially the stained glass windows in the front of the hotel. Forgot the camera on the first night (sorry!) 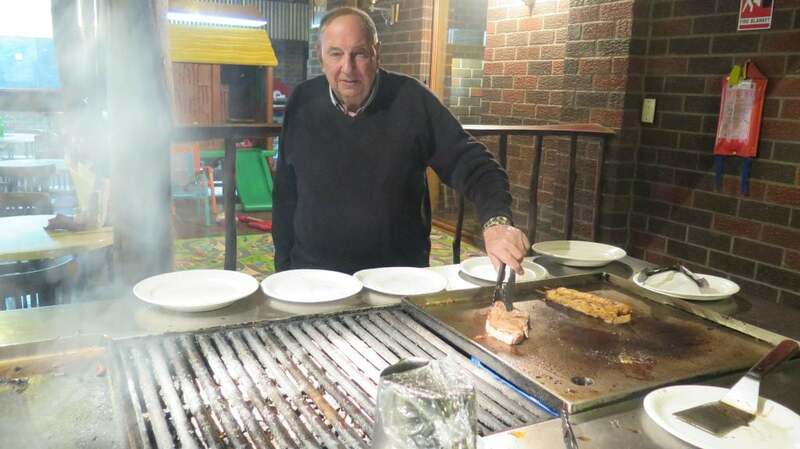 when we enjoyed a Rack of Lamb (Pete) and Grilled Barramundi with Prawns (me) – both delicious. No room for dessert! On the second night we only needed a light meal (having overeaten the night before! ), I chose natural Pacific oysters and a dessert of Sticky Date Pudding while Pete ordered soup and Vegetarian Pasta. 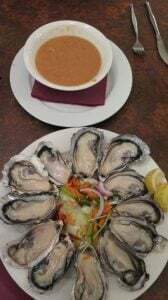 A fitting meal to complete our adventure through the wheat and grain belt and the sheep country, before returning to Perth tomorrow.